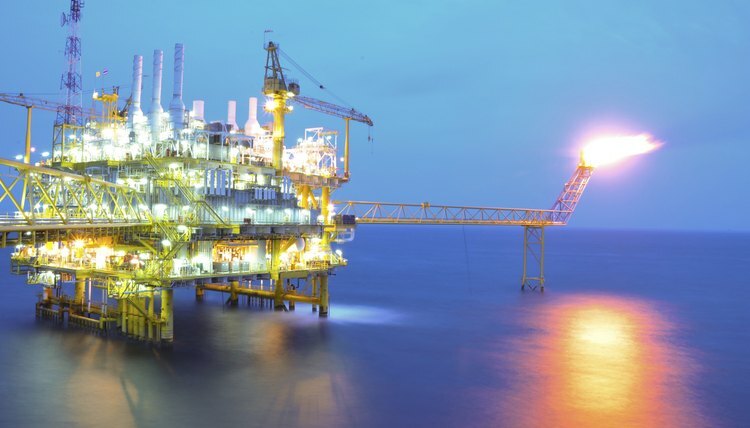 Oil rigs are large industrial structures with a wide variety of different jobs, ranging from those that drill for oil and handle the equipment to those who support the operations of the oil rig and take care of the other workers. These jobs suit a wide variety of vocational skill sets, though they all require living on or near an oil rig for extended periods of time. Roustabouts work with heavy machinery on the deck of the oil rig, moving crane loads and supplying equipment to the rig's floor. They are also responsible for keeping the main deck areas clean and tidy. When times are very busy, roustabouts also assist roughnecks. 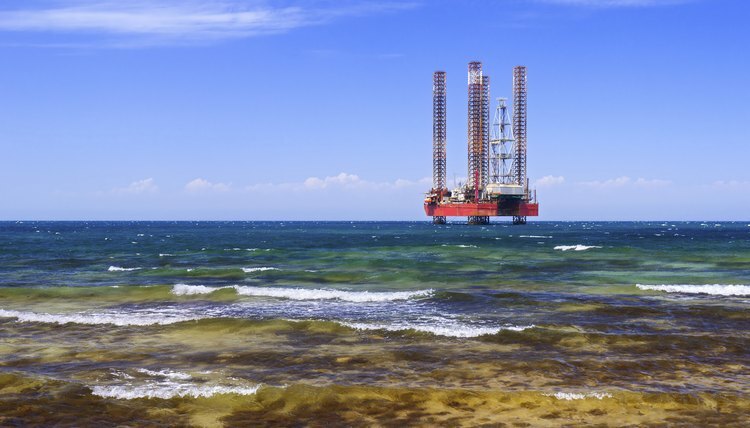 According to rigworker.com, roustabouts make over $50,000 per year on most rigs. Roughnecks work on the drilling floor in teams of three and are the main people responsible for operating the equipment, repairing it and making sure it is working efficiently. They are directed to do different things on the floor by the driller and are also responsible for checking the mud levels on the drill itself by checking with the Mudman on a regular basis. According to rigworker.com, roughnecks make about $60,000 per year, on average. Drillers are the highest position on the drilling floor and are the generals of how the equipment operations are done. They are also in charge of everything that is happening on and above the rig floor. 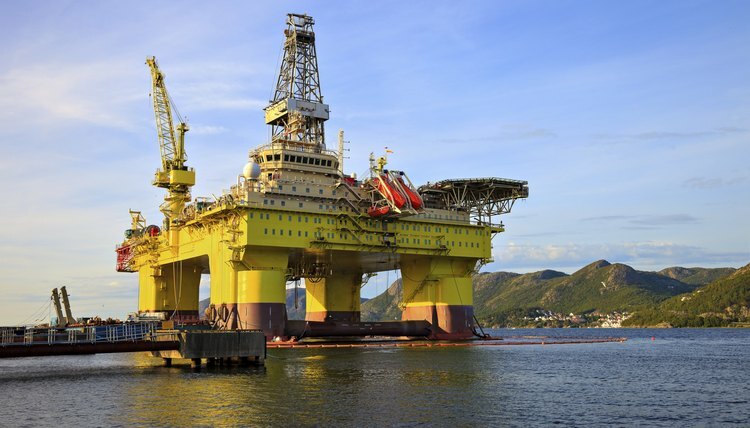 The driller is the person who actually operates the drilling rig equipment and makes a hole in the sea bed to try and find the oil. According to rigworker.com, drillers make over $80,000 per year on average. The Company Man or Woman is the oil company's representative who lives and works on board the oil rig. They are not employed by the drilling company who is operating the rig, but by the oil company funding the operation. 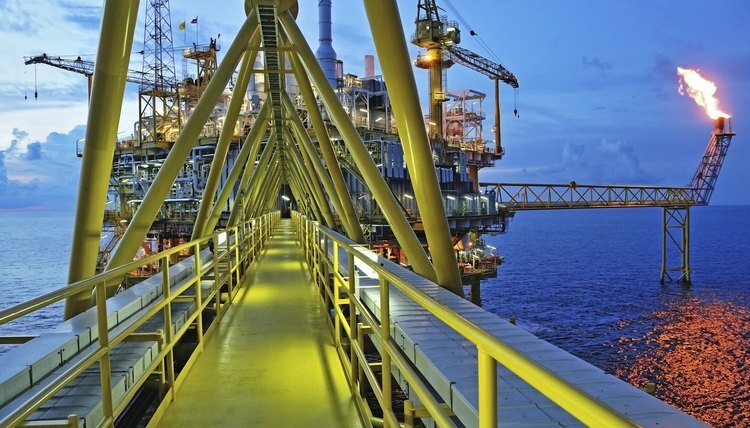 Their responsibility is to monitor what is occurring on board and report back to the oil company to make sure everything is running smoothing. According to rigworker.com this Company Man or Woman makes upwards of $150,000 per year. CRO's are control room operators who monitor the controls, electricity and general operations are working on board. They monitor weather in the area and make sure the rig's basic systems, like electricity and plumbing, are operating correctly. They have a number of assistants who are all seasoned seamen and know how to work and live on the open ocean. According to rigworker.com, CRO's make around $65,000 per year; their assistants make just under $60,000 per year. Westlake, Daniel. "List of Names for Oil Rig Jobs." 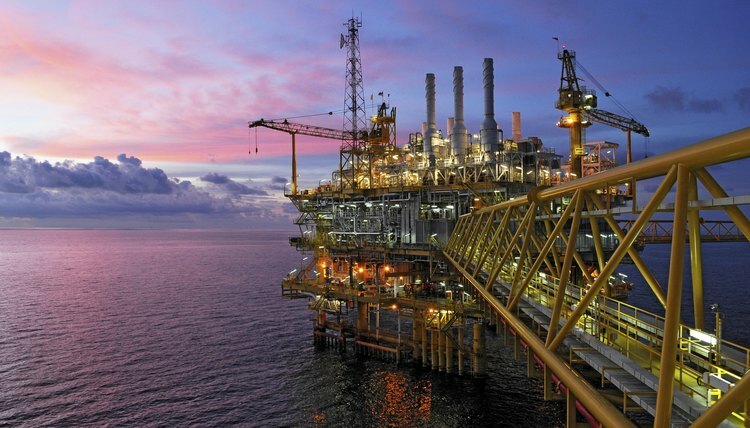 , https://careertrend.com/list-6766220-list-names-oil-rig-jobs.html. 28 November 2018. How Much Do Riggers Make Offshore?